Beth_Mardutho is one of more than 5,000 organizations on LibraryThing. 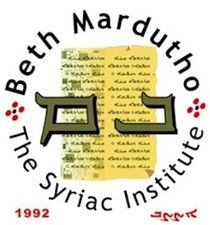 About meBeth Mardutho seeks to promote the study and preservation of the Syriac heritage and language, and to facilitate opportunities for people to pursue the study of this ancient legacy globally. We aim to serve the academic community and the heirs of the heritage. About my libraryThe Beth Mardutho Research Library consists of private collections, the largest of which is that of George A. Kiraz. Retired scholars who whish to bequest their collections to the library are encouraged to contact George A. Kiraz for arrangements. Two scholars have already promised their collections to the library.